may you never be the same >> 2 CD SET I Am In 3D Sound Mind Blowing! 2 CD SET I Am In 3D Sound Mind Blowing! 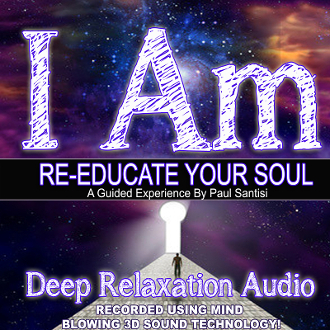 For (1) Brand New copy of Paul Santisi's guided mediation "I AM" in 3d Sound! Mind blowing 3d Sound - Unlimited positive suggestion - Amazingly soothing and empowering music. Thousands of positive I AM affirmations the change your body's frequency and positive energetic vibrations.